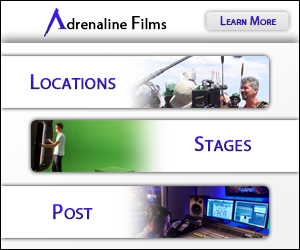 Operating within the film and video production business for over 15 years, our distinguished team of professionals has helped us become a leader in production. In the past year, our studio productions have included corporate videos, industrial films, interviews, music videos, commercials, the ESPN television series 30 for 30 and the Academy Award-winning film Silver Linings Playbook, with even more exciting projects on the horizon. But we’re not always looking for the next Hollywood blockbuster. Invincible Pictures also provides high quality professional videos for local businesses of all sizes. Our small business production packages are affordable and simple, offering a full range of options from interviews and informational videos, to full-length television commercials. Being in the industry for over a decade has helped Invincible Pictures solidify professional relationships spanning across the globe, establishing connections with the most powerful industry players in Hollywood.